Bankruptcy Information | What If My Employer Files Bankruptcy? What If My Employer Files Bankruptcy? Home > Bankruptcy Basics > What If My Employer Files Bankruptcy? 05 Jan What If My Employer Files Bankruptcy? Grab as many staplers as you can carry. No, I am kidding. Staplers are not worth what they used to be, what with document scanning these days. Staple pullers? Maybe. Seriously, the headlines are full of stories about massive corporate layoffs and bankruptcies. A local steel mill shut down for an undetermined length of time, laying off over 2000 workers. A smaller mill laid off 600 employees. My favorite ice cold beverage company pink slipped approximately 10,000 workers from its North American headquarters. Our friends at www.BankRate.com tell us corporate bankruptcies in the first half of 2008 are up over 41% over the same period last year. 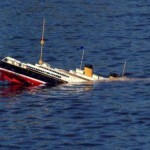 So what can an employee do when the company ship runs aground? 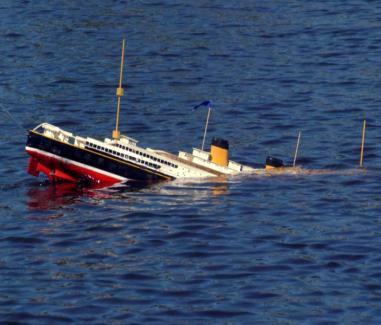 Lora Shinn over at BankRate offers practical advice for the worker who suspects the ship is sinking and for the employees of full blown bankrupt and shut the door businesses. Her article, Surviving a workplace bankruptcy, puts the focus on taking care of one’s own finances with a time honored tip of saving a 6 month cushion of money to get through troubled times. Lora also points out practical advice to salvage health care benefits through federal COBRA legislation and to protect retirement accounts . You may qualify if your company reorganizes through Chapter 11 but your bennies will evaporate if the company shuts down completely. Your 401k is yours, but if it is invested in company stock, you should consider adjusting your portfolio while you still have time. A qualified pension will be guaranteed, but perhaps not at the same rate as you hoped. Lora provides these tips, and more in her article. If your employer owes you money for wages, you should file a claim with the bankruptcy court. Your claim enjoys priority status to an extent, but you will not receive any payment unless the corportation has assets to liquidate. A bankruptcy lawyer can help you decide whether you need to file a claim.